This Plastic Bag Sealer provides a strong air and water tight seal, using polyethylene or polypropylene plastic bags. With storage and protecting moisture sensitive equipment against wet environments being the obvious uses, it is also especially useful for small part storage and organization during car, motor or airplane restorations. 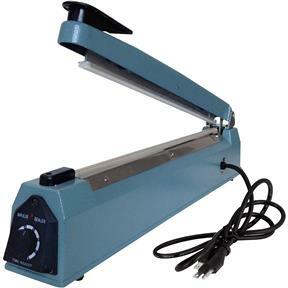 It features variable heat control and power saving switch and includes 2 spare heating elements and upper Teflon cloth. Absolutely fantastic item, It's built as if it came from the 1950's, well made and heavy. well worth the money. Way exceeded my expectations, great quality and super fasty heat time. Excellent sealer! This item is well worth the money! The price point is unmatched.